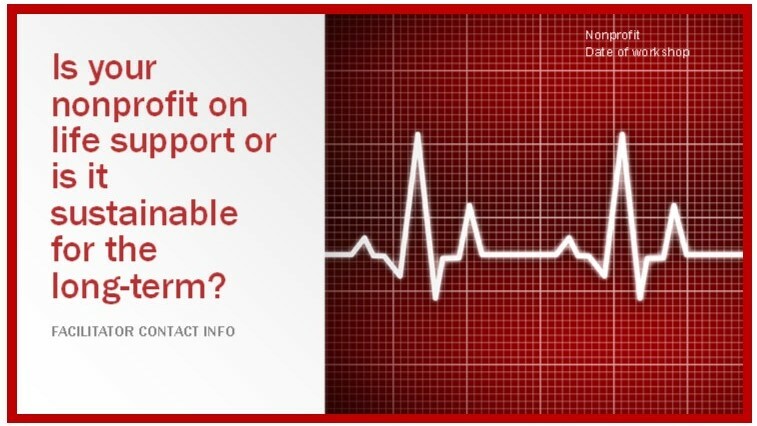 Sustainability for a nonprofit is not just about funding. It is tied to every aspect of the organization. 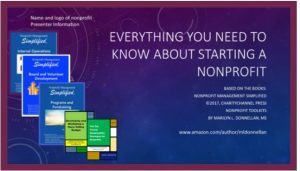 This training module highlights the top twenty strategies for building sustainability in any nonprofit. 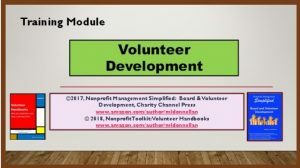 A companion to the Nonprofit Toolkit book, #2, The Top Twenty Sustainability Strategies, this training module includes a PowerPoint, instructor notes, sample agenda and handouts. 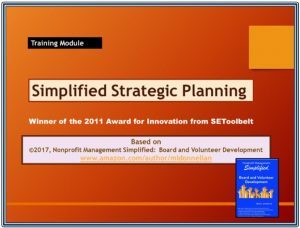 The module is perfect for boards and staff wanting to include sustainability strategies in their planning process. 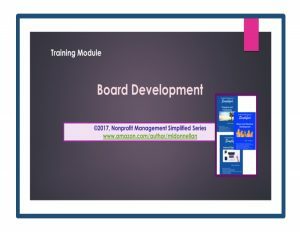 The module overviews the top twenty field-tested strategies to insure long-term sustainability for your nonprofit, based on the three books in the Nonprofit Management Simplified series.